Sorry, this item is no longer available. 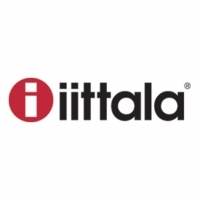 Please shop for other iittala items. 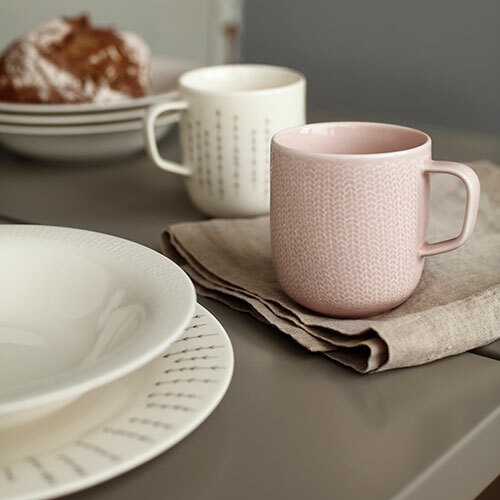 More about iittala Sarjaton Metsa White Mug Smart and sweet, iittala's Sarjaton Metsä Mug is brimming with beauty and durable design. 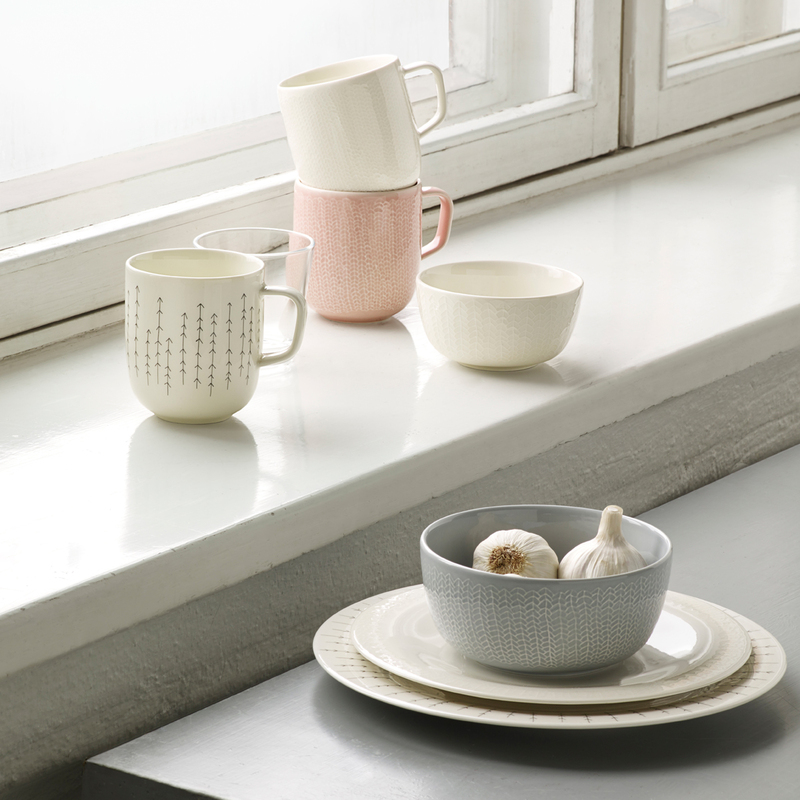 Made from pure porcelain, the mug's creamy-white color and high-shine finish accent its rounded shape and deep interior. 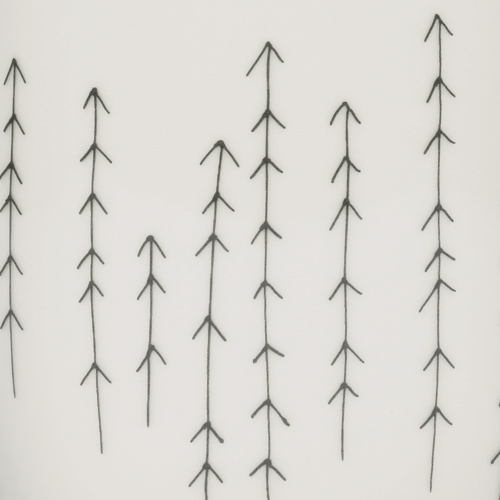 The exterior is gently printed with the Metsä or "forest" pattern which was designed by designer duo Musuta. Proud Finns, this young team created this print in homage to the majestic arbors of Finland and the nourishment and serenity that these trees provide. 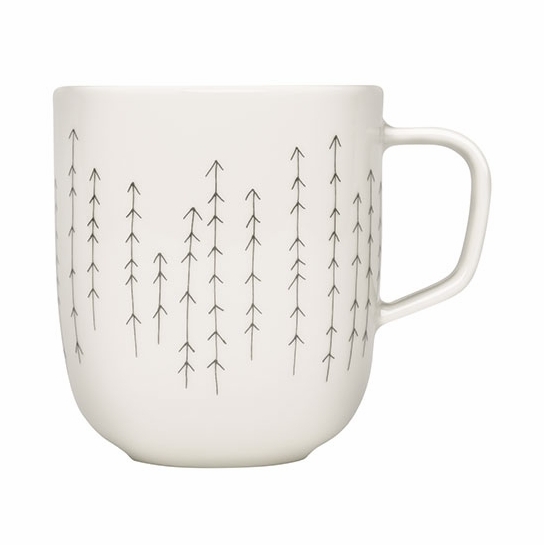 As a finishing touch, the mugs curved handle gently arcs off the side to provide a sturdy hold on any hot beverage or steamy soup; so sip in-style with iittala's Sarjaton Mug. 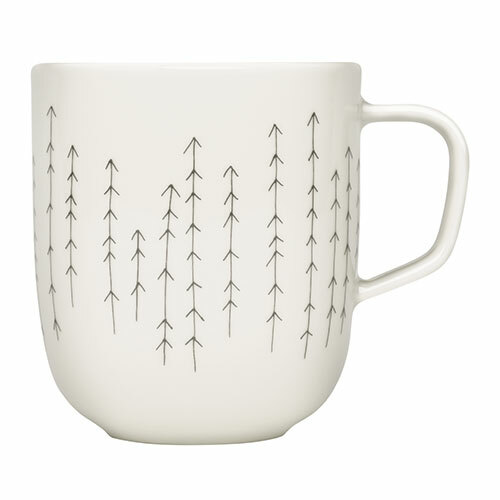 This is actually the second iittala Sarjaton Metsa White Mug I got. Great for gathering with friends. I love love the design and its simplicity. I read the Viena K's blog and she has a set of sarjaton. I was really tempted to get the same set lol. Truth to be told, the sarjaton line is really worth the wait. I recommend the products. I'm enjoying my morning coffee from this cute mug. It's design is simple and reminds me of winter in the woods. 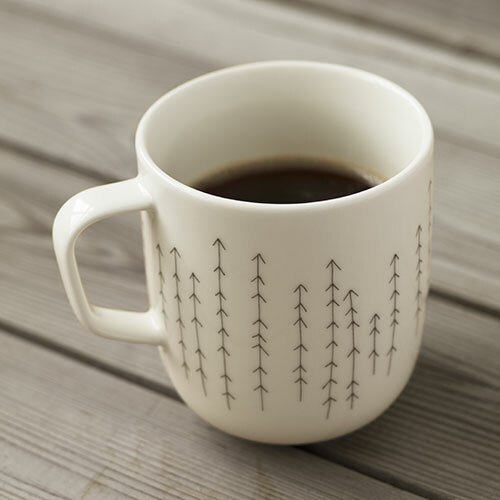 ProsThe cup feels good in my hand, the design is definitely Scandinavian in style and function. This and the other items that I'd ordered were packaged beautifully and arrived right on time. This cup is nice size for breakfast coffee. ConsEveryone deserves a nice cup for morning coffee. I reported my disappointment in having bought a product made in Thailand and appreciated the call from your office. It was explained to me that Iittala had begun some manufacturing in Thailand. Yet, I have a sense of being misled by Finn Style. I feel the omission of a different origin than Finland for the product was because of fear that it might result in no sale. Yet - would not a general statement been possible, such as "All products are designed and produced by Finnish firms and may be made outside of Finland?" I'm cannot tell from the photo if the glaze on this mug is matte or glossy. Also, I am wondering if it is the SAME shade of white as the TEEMA White (which is a very warm white almost off-white)? I have the Teema white dinnerware and am looking to add some mugs to the collection. This white matches the Teema white dishes and has a glossy glaze on it, like the Teema dinnerware.